“My name is Benda Kithaka. I have consciously chosen to live a life of purpose in cancer advocacy, by using my strong character, innovative and creative marketing communication skills, and vast networks to positively impact the lives of others. In February 2010, my young sister – 29 years old and a mother of one, was called with the devastating news that she had been diagnosed with cancer. This diagnosis was made by a general practitioner in a village hospital. She was utterly broken and was on a panic mode; trying to make future plans for her young family since unfortunately, any cancer diagnosis is viewed by many as a death sentence. With the support of my husband, we asked her to come to Nairobi for a second opinion from my gynecologist in Nairobi. The doctor ordered a number of tests, among them a pap smear. The test results came out as Suspicious Cancerous Cells. He gave my sister some medications and requested that she pay him a second visit after the dose was complete for a second Pap smear. This was done three months later in June 2010. The results came back as negative of the Cancerous Cells. The doctor went ahead to assure us that the results were encouraging since the suspicious nasty cells had been caught and treated early. My sister did not have to go through any operation, chemotherapy or radiotherapy to treat the cancerous cells - for which we thank God. From this experience, I could not put my head around how many other women are out there, not knowing that they could be having something, that is slowly eating them away, and that if left untreated, could easily turn into invasive cancer. I also learned that if we're going to beat cancer, early detection is imperative! My story is no different. Kenyans are battling with cancers that can either be prevented or cured 100% if discovered early. I therefore feel a desperate need to educate the public about cancer; encouraged by my Sister’s experience; and help educate women so they take the steps to get tested; and are diagnosed early! Cervical Cancer for instance is unnecessarily killing our women; I co-founded the Women 4 Cancer Early Detection & Treatment NGO with my 3 friends .Women4Cancer is an indigenous Kenyan NGO formed in 2012 to educate the Public on the Benefits of Early Detection and Treatment. 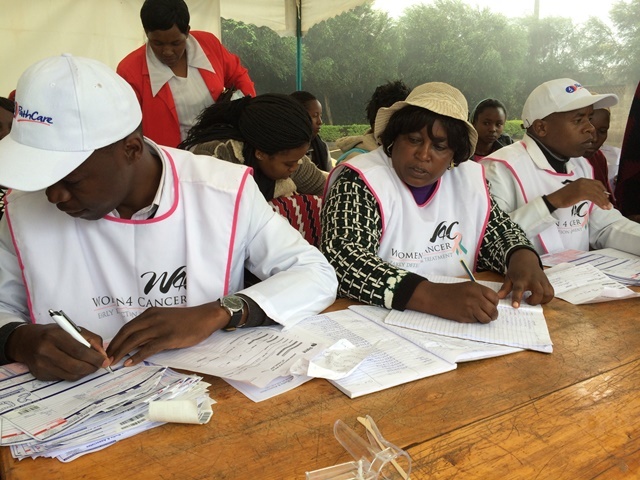 The aim was to educate society on the benefits of early detection and treatment of cancer, to provide free screening for cervical cancer to needy women in rural Kenya and to facilitate treatment for all women found to have positive cancer diagnosis through our program. This is all in a bid to influence policy in giving our women better access to screening, treatment options and more positive outcomes from cancer diagnosis to recovery. Prior to co-founding the organization Women 4 Cancer, I had volunteered with another organization that is also involved in cancer activities, but I felt the need to do more, with more tangible results to demonstrate that early detection does make a difference. Even though I am a co-founder, I do not draw a salary from the organization. We are all volunteers with the organization, and we rely heavily on citizens of goodwill who also volunteer with us to make a difference in the organization. In order to gain knowledge and skills in cancer advocacy, I have undergone training. I am a Graduate Master Cancer Advocate with AORTIC, a training I received in 2013. This has influenced my approach to cancer advocacy, which reflects my multidisciplinary foundations, with a focus on corporate cervical cancer awareness, management and control as a strategic human capital investment. A key achievement in these was that in 2014, I was given a Consultancy to draft the WHO Advocacy Toolkit for Cervical Cancer Prevention and Control for Africa to be published in 2015 by the WHO Africa Regional Office. Currently I consult in marketing for various brands in Kenya to ensure that I can sustain my volunteer work with Women 4 Cancer. We offer Free Educational Awareness Forums for Corporates, Free Screening of Cervical Cancer to Women from Disadvantaged Rural Settings using Cytology Based Pap Tests and support through treatment for women found to be in need of further investigation or treatment for cervical cancer. We also collaborate with various corporates, stakeholders and civil society bodies in creating awareness, educating the public and mobilizing for cervical cancer screening through medical camps. From a programme that started as community awareness, the organization has evolved into an integrated cervical cancer advocacy intervention, with a comprehensive mechanism that involves volunteer recruitment, service delivery through awareness creation and education, screening, referral for treatment and patient navigation for ease of access of early treatment. The organization has negotiated special rates for service delivery at every continuum of service delivery to ensure affordability of quality service for patients who are found to need further treatment through various stakeholders. 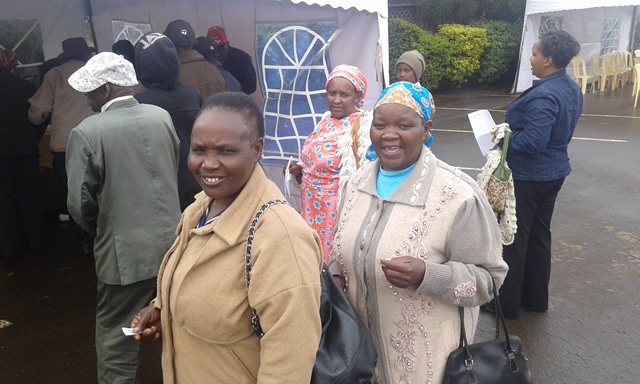 So far we have screened 1,950 Women using pap smears; accorded treatment to over 80 with bacterial and fungal infections, another 30+ treated for cervical pre-cancers, and facilitated 4 women to get surgical intervention for invasive cervical cancer. Today, we have another 8 being followed up for pre-cancers and 3 for invasive cancer treatment. Their ages range from as young as 30 years to as old as 73 years. In meeting our mandate, we use innovative marketing solutions to raise the much needed funds. We use our skills, networks and links to raise much needed resources from our pool of friends, family, well-wishers and colleagues. Cancer is one of the leading causes of death worldwide accounting for 13% of all global mortality. In Kenya, it is estimated that the annual incidences of cancer is close to 37,000 new cases with an annual mortality of over 28,000,making cancer the third leading cause of death after infectious diseases and cardiovascular conditions. Approximately 80% of cancer cases in Kenya are discovered at an advanced stage when very little can be achieved in terms of treatment, available treatment options are very expensive, and the rates of recovery are highly reduced. Also, these estimates are conservative and could be higher given that many cases go unreported and unaccounted for. In the last 2 years, there is a lot that the government is doing in policy making for cancer control in Kenya. 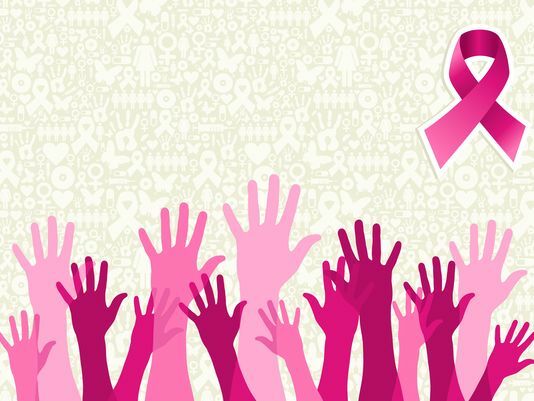 The society however needs to take up the call for early detection and to utilize the many resources at their disposal to actively prevent, and deal with cancer at the earliest possible time. 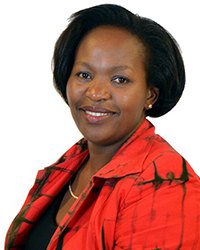 Among women, there is very little awareness generally in Kenya. Often a positive cancer diagnosis is received with trepidation, fear, stigma and fear. Our women know very little on the signs and symptoms, risk factors, key interventions which include primary prevention, early detection, effective diagnosis and treatment and pain relief; all of which can be well integrated into our communities for better cancer prevention and control. The leading cancers in Kenyan women are breast, cervical and esophagus. Cervical cancer affects 25 per every 100,000 people, a clear indication of the threat cervical cancer poses to women. Existing evidence shows that up to 40% of global cancers are preventable through interventions such as tobacco control, reduction of alcohol consumption, protection against exposure to environmental and occupational carcinogens, promotion of healthy diets and physical activity. It is therefore safe to say that if we focus on dealing with the risk factors for cancer in Kenya, we can be well on the way to ensuring future generations do not die of cancers that are preventable. Reducing behavioral risk factors such as smoking, alcohol use, inadequate physical inactivity and poor diet. Some of the challenges we face include low awareness of cancer signs and symptoms, inadequate resources for the screening services, since all of us are volunteers, we are challenged with meeting our mandate, and therefore I feel we would be more effective if we could find a way to sustain competent employees. We are however convinced that our efforts are contributing to cancer control interventions which are vital in halting and reducing the rising burden of cancer in Kenya. ii. Invite our trained cancer advocates to give awareness talks in various forums including Chamas, churches, schools, and colleges; basically anywhere people are gathered and can be addressed for 10 minutes and above. iii. Donate in kind with expertise or by giving the various materials we require such as speculums, non-latex gloves, and other consumables, one can write to us for the list. iv. Become a volunteer – passion, skill and willingness to serve are always welcome. v. We also have corporate sponsorship programmes that include CSR, Staff Engagement and Matched Funds. To upscale our program, we need more resources than can be raised from a walk. Partner with us, I am inviting feedback, and asking your involvement in our program- change starts with me and you…Visit www.women4cancer.org to read up on what we have been doing, to see how you can get involved, and to give us ideas on how we can be better at what we do.